Let us show you how to freshen up your home with the blending of antiques, designer interiors, and accents. 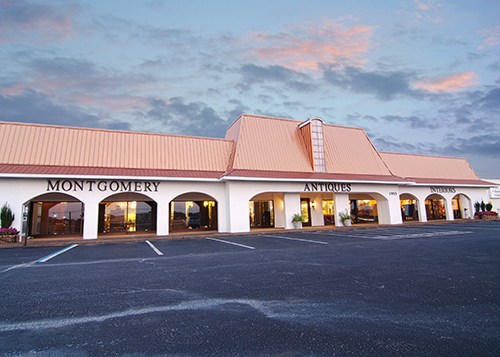 Montgomery Antiques & Interiors was founded in September of 2012, and is home to over twenty different vendors from all across Alabama. Our gallery offers a variety of fine antiques, designer interiors, and accents. We also carry a great selection of sterling silver, and antique and vintage jewelry. In addition, MAI provides in-store repair for your clocks and light fixtures.